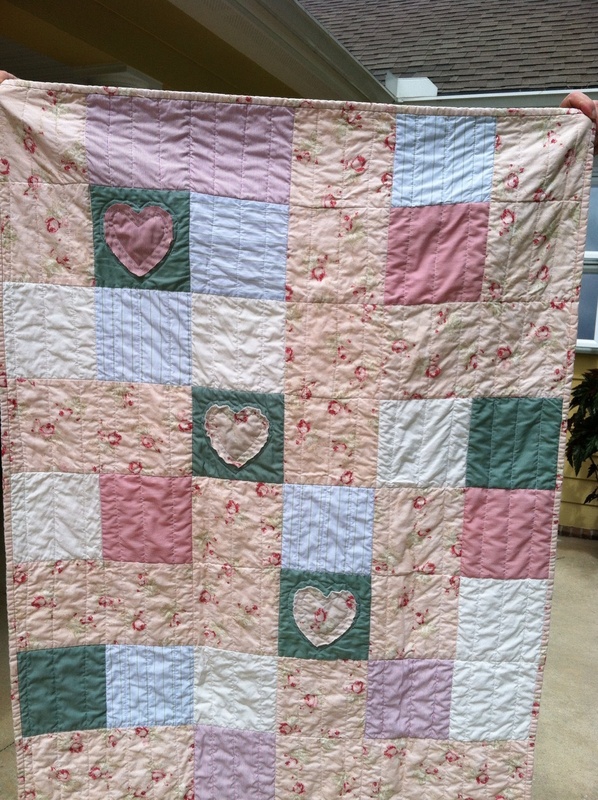 I have just finished a memory quilt for a special new little girl. Her grandfather was loved by so many people in our town. He passed away last year. 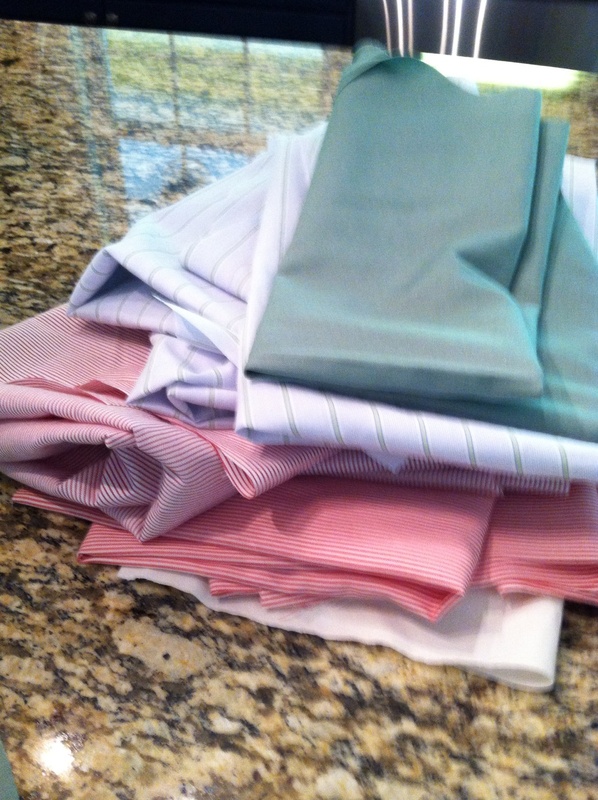 A good friend of his daughter asked me to make a memory quilt from some of his shirts. Once I had the shirts cut up, I realized they were too plain and I needed something girlie to make it “Shabby Chic” which was the mom’s request. So, I found this great pink floral pattern. 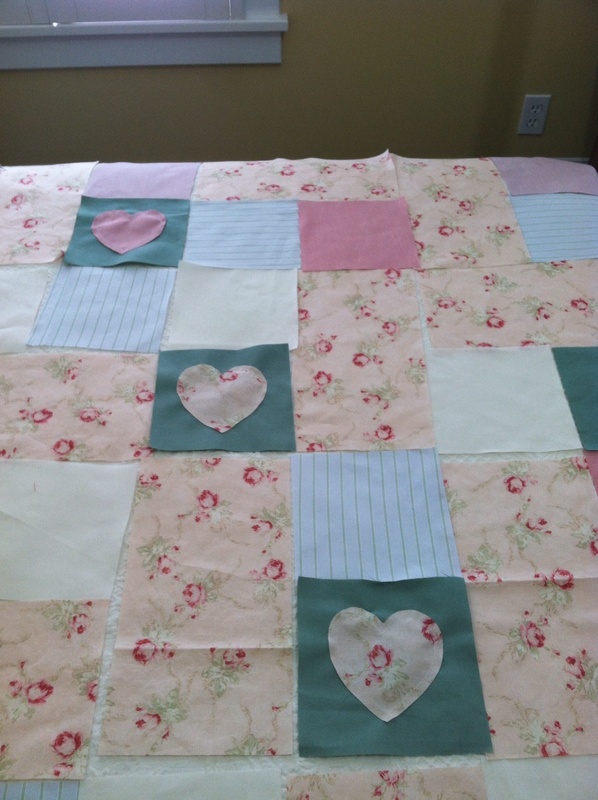 Once I had the quilt pieced together, I needed something more so it wouldn’t look so plain. I decided to add the hearts, one for the grandfather, one for the daughter and one for the baby. 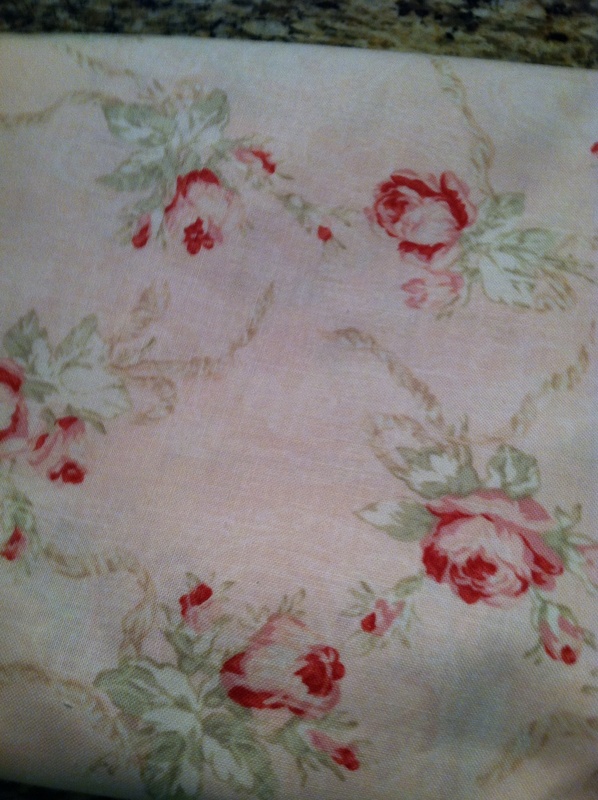 I made the back out of left over fabric and shirt material and used the rose print for the binding. 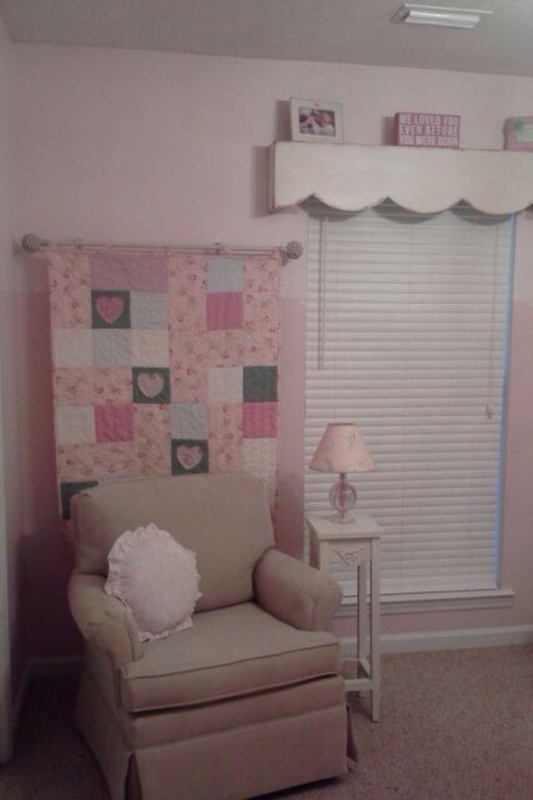 Finally, I added some tabs so it could be hung on a curtain rod. 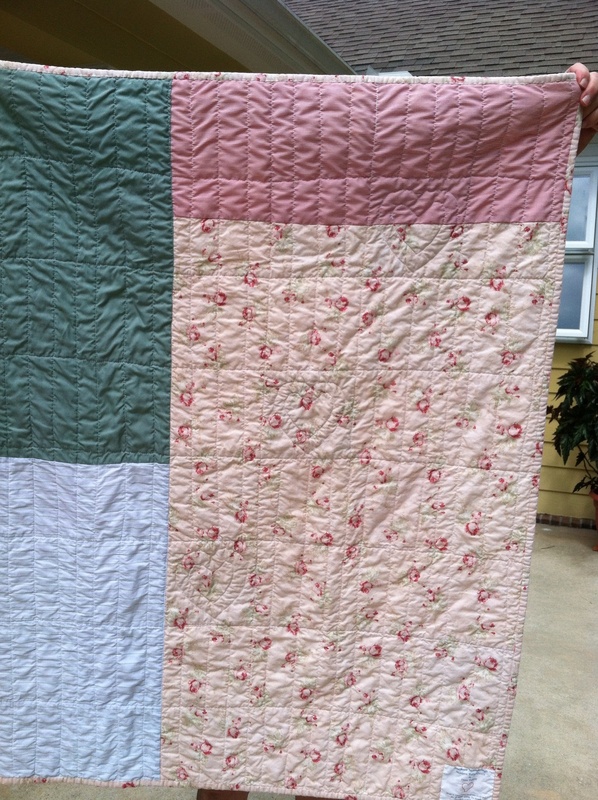 Here is the quilt all ready for the new baby girl!! 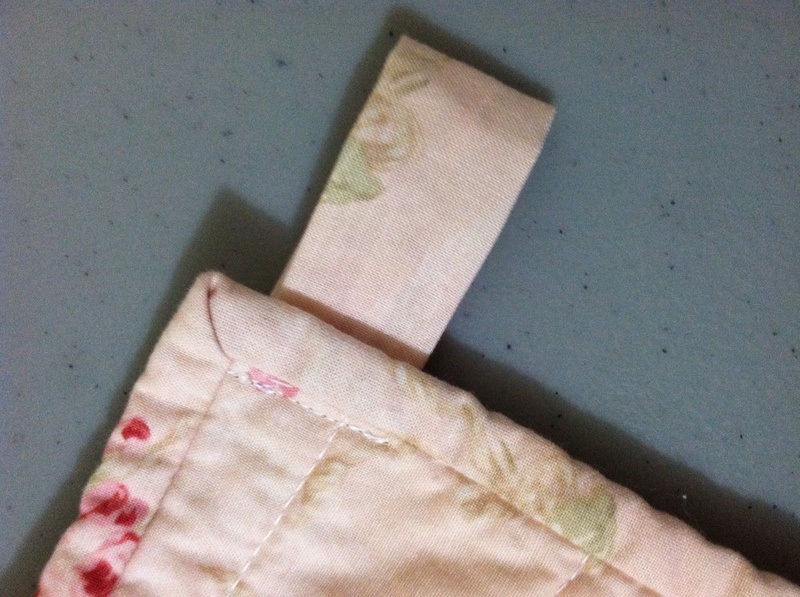 This entry was posted in Uncategorized and tagged Baby Quilts, Memory Quilt, quilt backs, Quilting, Shabby Chic Baby Quilt. Bookmark the permalink. It’s lovely, Diane. Thanks for showing it. Thanks, J. I’m looking forward to seeing you next week at the ECMQG meeting. Diane, great job. What a precious memory!